It is a shame that a sitting government could watch criminality go to the level that we witnessing today and rather than rise and take decisive steps in addressing it, we embark on deniability and simply shield the perpetrators by just explaining with flimsy excuses and establishing a politically coloured commission. The real tragedy is not the well planned and coordinated carnage across the country but the tragedy lies from the fact that for 24 months running, this mayhem continues unhindered, unchecked, unstopped by any arm of the law or the security agencies. Right under the nose of our National security, armed forces and the police, the maiming and beatings are sustained unabated by sheer negligence or deliberate refusal to act by the security agencies. 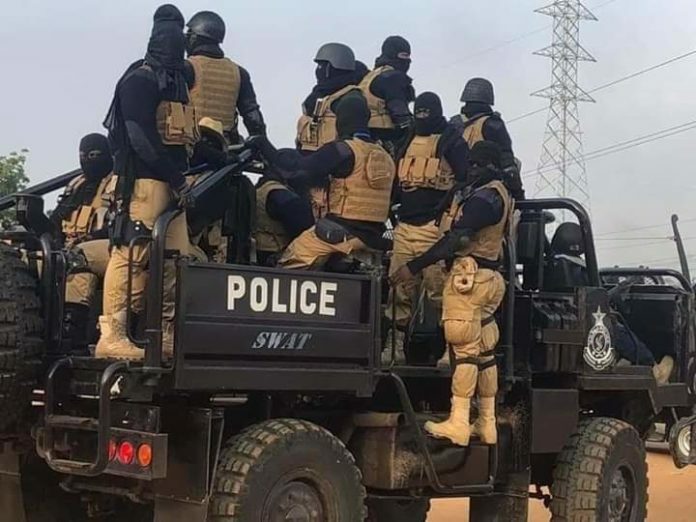 It is very sad that in Ghana, with all the security ministers and experts and forces people will go on being assaulted, shot and brutalized by hoodlums under the guise of National security. It baffles us and beats our imagination that a whole enforcement of the Ghanaian state will stand by and witness Ghanaians being brutalized endlessly by hoodlums.All we are asking the President is for the perpetrators of the shooting, beating and maiming to be arrested and prosecuted according to law. The Minister of State in charge security, the IGP should arrest the hoodlums because they know them. Hon. Bryan Acheampong has come out to justify the shooting. He indicated that the hoodlums were deployed from his outfit. This was after a senior police office had told the media that they don’t know the hoodlums. The interesting aspect is that, the hoodlums landed at the place in a police vehicle and were accompanied by some senior police officers. They openly disrespected the police officers. We saw senior police officers pick guns of these hoodlums from the ground and hand back to them. And the police who claimed did not know the hoodlums, did not find it necessary checking whether the guns were licensed or not? Did not check whether the guys were qualified to possess guns or not? We saw how those hoodlums handled their victims. Is that how trained security personnel handle such situations? We can’t believe that what we saw in the video is happening in 2019. This is utter disgrace and shame to the President and his national security coordinators who have made a mockery of themselves. The irresponsibility and wickedness they displayed will make us a laughing stock around the world. Very sad and unruly message they have passed on to the rest of the world. If the President is truly committed to investigating the matter then he must ensure that the IGP and his Bryan resign immediately. The President himself is deeply involved. Bryan said the hoodlums we saw shooting indiscriminately, beating people, hitting people with axe,wearing earrings and long beard are National security operatives meaning, the President was very aware they were going to execute that dastardly act. The nation’s security should be paramount to the President who on the 7th of January, 2017 vowed to protect our sovereignty which is presently under threat by his hoodlums, when he was sworn in as the President of our country Ghana. Clean&Clear therefore, stand firmly to ask Mr President to rise to his basic constitutional responsibility which is to eliminate the wanton killing, maiming, kidnappings and reckless shootings in the country. On this note, therefore, we recommend that President Akufo-Addo should sack his Minister of State in charge security, Mr Bryan Acheampong and the Inspector General of Police to enable proper investigation to be carried out unhindered. The President himself who is the Commander in Chief and chairman of the security council should be subjected to full scale investigation. He should explain to the world why he provided uniform, guns, axes and vehicles to people who have not been trained in weapon handling.